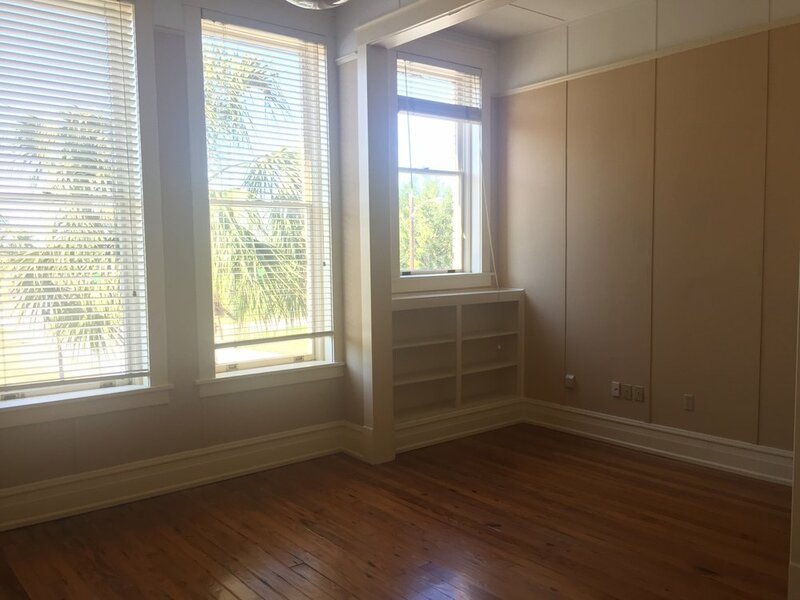 Private offices in Downtown Brunswick starting at $200/mo. all inclusive. Located in the heart of Historic Downtown Brunswick, both of The Wick locations offer members easy access to restaurants, shops, banks, professional services, and more. With one location on Newcastle Street and a second on F. Street next to Mary Ross Waterfront Park, these central locations are ideal for individuals and businesses alike. Originally the Royal Hotel, built in 1908, this property has gone through multiple modernizations over the course of its lifetime, but it still maintains the original charm. 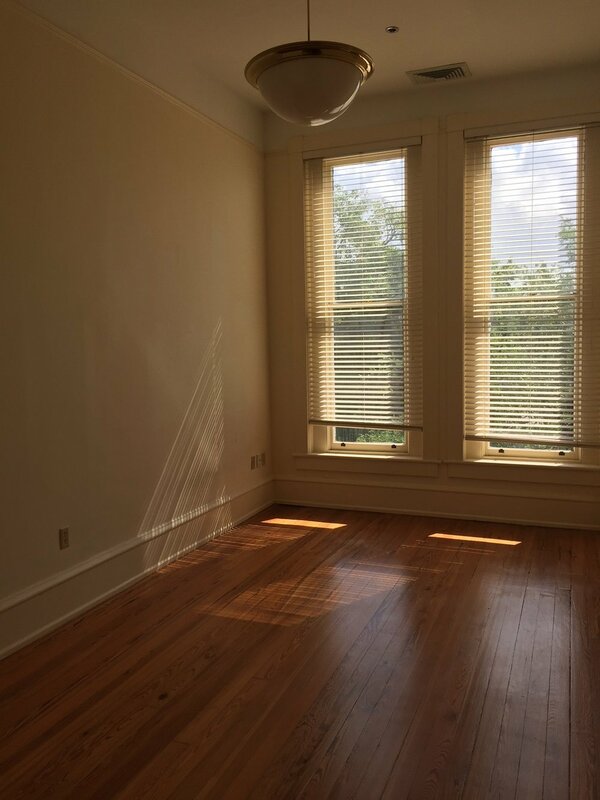 With 14' ceilings adorned with pressed tin, gorgeous hardwood floors throughout, original skylights, and 8' windows throughout, this building is a must see. Situated next to Mary Ross Waterfront Park and the East River, this location offers members water or park views from many suites. The soon to be renovated Mary Ross Waterfront Park is set to include new features such as food cart platforms, new pedestrian walkways connecting to Newcastle Street, gardens, seating areas, and various other improvements. The Wick is a shared work space that offers members the privacy of their own office with the amenities of larger office buildings. 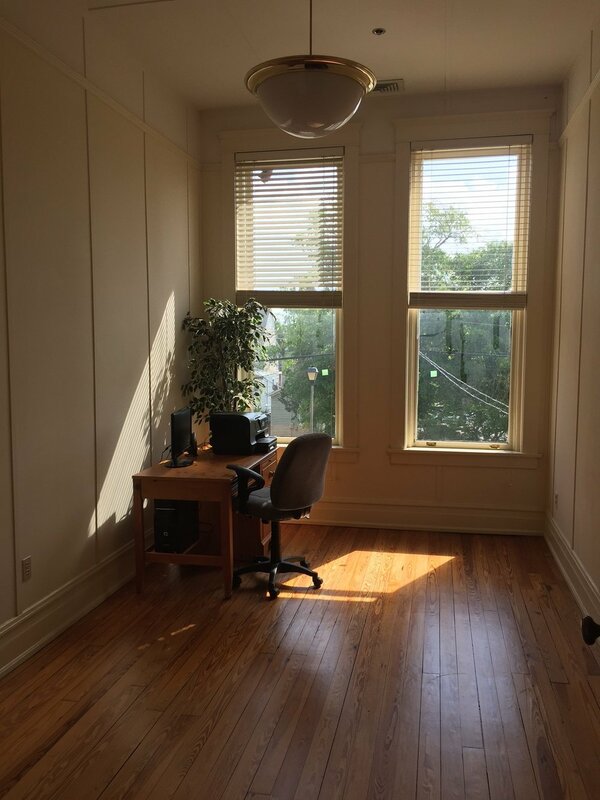 With 2 convenient locations in Historic Downtown Brunswick offering over 60 unique offices, The Wick is a community of entrepreneurs, professionals, non-profits, creatives, and more. The Wick is more than just an office – it's an all-inclusive office experience. Rental rates are inclusive of all utilities so you can focus on your work and let us handle the bills. In addition, we offer some of these other great amenities to members as well, all included in your lease. All members have access to our 14 person executive conference room on a first-come first-serve basis. Reservations can be made via mobile or desktop on the shared calendar. We cover all of the utility bills. This includes high speed Wi-Fi internet throughout all properties, electricity, water/sewer, trash disposal, 24/7 security monitoring, facility maintenance, and more. All properties have their own high speed commercial multi-purpose printer/copiers with scan to email capability. All properties have 24/7 security monitoring with cameras, motion sensors, automatic door locks, and more. Tenants have 24/7 access with unique security credentials for off hour access. 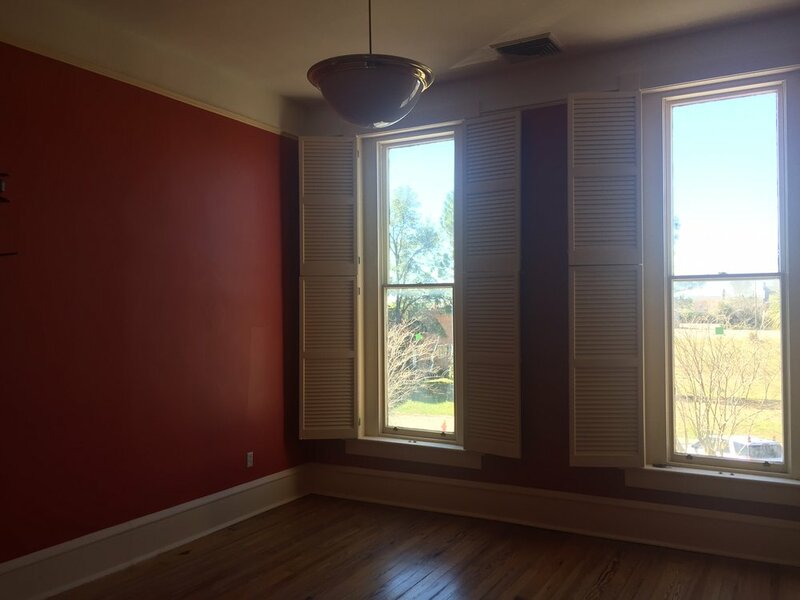 The Wick and The Wick 2.0 are conveniently located in the heart of Historic Downtown Brunswick. The downtown area has great retail stores, restaurants, professional services, and entertainment. Come experience some of Brunswick's notable sites and events including: First Fridays, Signature Squares, the Ritz Theatre, the Brunswick Landing Marina, and more.